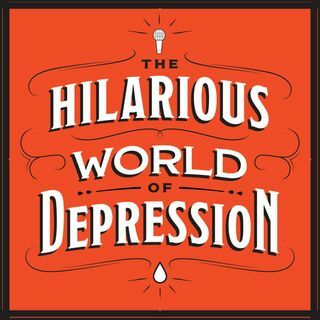 In a whole lot of ways, improv comedy is the opposite of depression. It requires you to be present in the moment, unconcerned about past regrets and future anxieties. It means connecting with other people and taking fun risks. And it's full of laughs. Actors and real-life married couple Jamie Denbo ("Orange is the New Black", "Ghostbusters") and John Ross Bowie ("The Big Bang Theory", "Speechless") have plenty of experience in improv, having met ... See More twenty years ago in a class taught by Amy Poehler. At the time, John was coming off a breakdown and Jamie was headed for one. They talk about how improv helped and sometimes hindered their path to self-discovery and how they've learned to harness improv's power. Check out our sponsor this week: Care/Of - TakeCareOf.com and use promo code HILARIOUS at checkout for 25% off your first month of personalized Care/of vitamins.